Picture this: An employee receives a call at work from her child’s day care telling her that her son has fallen on the playground and hit his head hard. They’ve called an ambulance, which will take him to the hospital, and she rushes to meet him there. Upon arriving, the frantic mother finds that her son is doing well, but the hospital would like to hold him overnight for monitoring. Instead of being able to focus on her child, the mother’s mind immediately jumps to her bank account. Like those of most Americans, her bank account contains just a few hundred dollars. She is not able to focus fully on her son’s recovery because she’s preoccupied with how she’ll pay for hospital costs that won’t be covered by her medical plan. Unfortunately, this scenario is far from rare, and it’s stressful for employees. According to research from the University of Michigan, even people who have health insurance pay — on average — about $1,000 out of pocket for a hospital stay. A recent Consumer Reports survey also showed that Americans now say their biggest concern is health care. As employees look for solutions to address their financial concerns, they’re turning to the workplace more than ever. 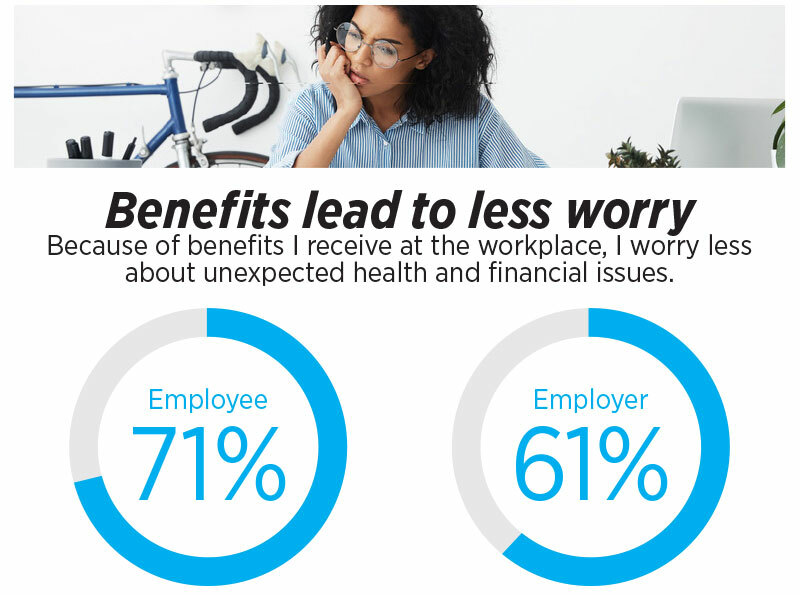 According to MetLife’s Annual Employee Benefit Trends Study, 62 percent of employees are looking to their employers for more help in achieving financial security through employee benefits, compared with 54 percent in 2016. Employees’ desire to leverage workplace resources to limit out-of-pocket health care expenses such as copays and deductibles, as well as related expenses such as child care and transportation, has driven solid growth in supplemental health products over the past few years. Eastbridge’s most recent U.S. Voluntary/Worksite Sales Report showed that critical illness and accident insurance continue to hold large percentages of the voluntary sales mix. However, hospital indemnity insurance is actually growing more rapidly. Hospital indemnity insurance is a lesser-known option that pays a lump- sum benefit that could be used for out-of-pocket costs including hospital stays, accident-related inpatient rehabilitation, plan deductibles, copays for doctor visits and extra costs for out-of-network care beyond what medical plans cover. According to the Eastbridge report, hospital indemnity sales were up 16 percent year-over-year compared to a 13 percent increase in critical illness sales and nearly flat sales of accident insurance. As hospital indemnity plans become more prevalent, employers will want to be on the forefront of information and insights about products that meet their workers’ needs. As a broker talking with clients about their benefit packages, here are three suggestions for emphasizing the relevancy and value of hospital indemnity plans. 1. Reshape the health care conversation. Health care is no longer only about medical plans. Supplemental health offerings such as hospital indemnity plans are key financial security resources that should be a part of holistic health care conversations. According to MetLife’s study, 84 percent of workers said hospital indemnity insurance is a must-have or nice-to-have benefit. This coverage acts as additional financial security for employees who want to protect themselves from out-of-pocket health care costs that are not covered by medical plans. In addition to plan deductibles, copays and hospital stays, the hospital indemnity lump-sum payment can be used for such things as testing and diagnostics, emergency care, and benefits that are helpful after confinement such as prescription drugs, transportation for follow-up treatments, or even nursing and hospice care. 2. Ground your discussion in data. When employees have the ability to choose the benefit options they want at work, they feel more loyal to their employers. In fact, about 75 percent of employees say that the ability to choose their benefits keeps them loyal to their employer, the MetLife survey showed. According to the survey, 45 percent of employers plan to increase the number of nonmedical benefits offered to their workers in the next one to three years. 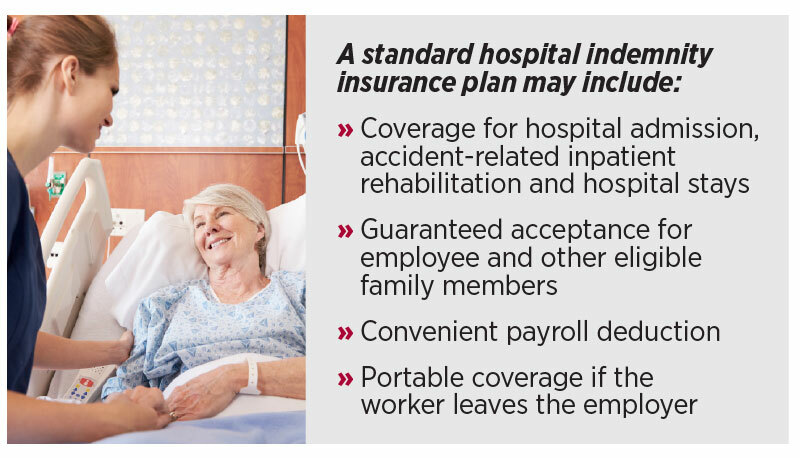 By adding a hospital indemnity plan, employers will be well-positioned to meet employee demand and reap the value when it comes to loyalty. 3. Underscore the importance of communication. 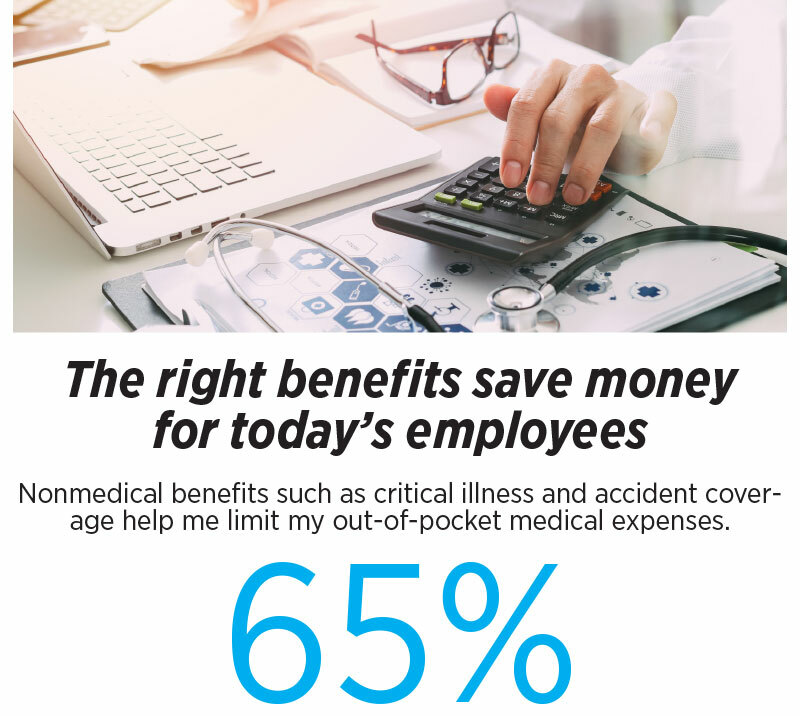 Employees are asking for options such as hospital indemnity plans that help limit their out-of-pocket exposure, but the MetLife survey found that just a quarter of employees say they really understand how hospital indemnity insurance works. This shows that adding a hospital indemnity plan to a benefits package is not enough. Communicating this offering well is also critical. Look for simple solutions that use layman’s terms to help employees understand the benefit and how it may be relevant to their lives. As the workplace continues to evolve, employers’ ability to engage their workers and cultivate loyal, productive workforces is paramount to their ability to differentiate and reach their business goals. When designing employee engagement strategies, offering the products employees care about continues to be foundational. Hospital indemnity is one of those products, and it’s poised for more growth. Employers that are on the forefront of offering it will be those well-positioned to win when it comes to attracting and retaining talent. Bradd Chignoli is senior vice president of national accounts in group benefits at MetLife. Bradd may be contacted at [email protected] .